The only candidate endorsed by the Hudson City Democratic Committee has kicked into high gear. 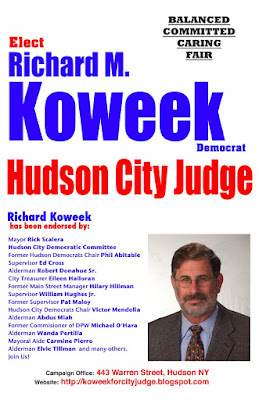 New campaign materials are arriving this week and the Koweek for City Judge Campaign Office will be opening this week at 443 Warren Street (near 5th St). Please stop in and say hi.